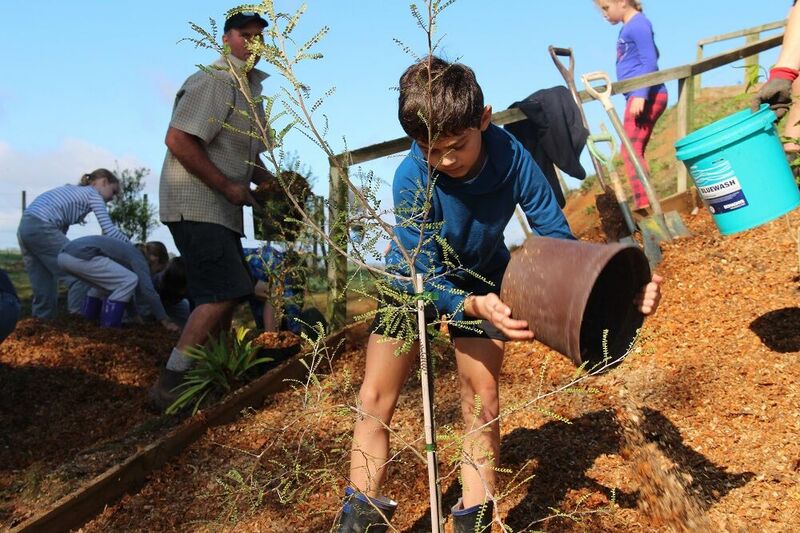 From the top of the North to the bottom of the South, Kiwi kids from five schools around the country will be able to reconnect with their natural environments after winning a $10,000 TREEmendous event. The joint initiative between the Mazda Foundation and Project Crimson Trust helps to transform schools’ outdoor education spaces through creating fantastic open air learning zones full of native trees and shrubs. The calibre of this year’s entries was extremely high, so instead of four schools, five winning schools have been selected. The remaining finalists will also receive $500 towards their projects. Aparima College (Southland), Coromandel Area School (Coromandel), Hukerenui School (Northland), Konini Primary School (Lower Hutt) and Te Uku School (Waikato) have each designed an environmentally focused outdoor education area which the TREEmendous team are looking forward to bringing to life in 2019. “We’ve been doing this for 12 years now and every year I am still blown away by the passion both students and teachers have for enhancing the environment,” says David Hodge, Managing Director of Mazda New Zealand and Chairman of the Mazda Foundation. “This year, the entries were more creative than ever, and I can’t wait to visit these five schools and bring their visions to life,” he says. 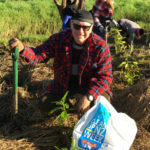 In Riverton, Aparima College will extensively plant natives to provide shelter and reduce the impact of wind and soil erosion and refresh an unused area of its grounds by planting a heritage fruit orchard, native trees and installing bird-tables, insect friendly habitat and wildflowers in order to attract bees and insects. Principal Cameron Davis says the school is always looking for ways to take advantage of their unique coastal location and the passion for sustainability that both the students and the wider community share. Coromandel Area School plan to restore the stream running through their grounds to help aquatic animals such as inanga (whitebait) to thrive again. Extensive planting of natives and wetland plants will enable them to use the area as a natural learning space. Koren Hopoi, Principal of Coromandel Area School, says environmental literacy is a key focus of learning at the school. Hukerenui School in Northland want to transform their western boundary fence area by planting bee-friendly trees and plants and provide a habitat for the skink population to create an area that will not only be fun, but a student led educational learning space. “We want our school to lead the future in incorporating outdoor learning into school life, which can be managed and taught by students, leading future students in their wake” says Jodie Baldwin, teacher at Hukerenui School. Andrea Scanlan, Principal of Wainuiomata based Konini Primary School, says the school hopes to transform its barren landscape and bring it to life again. “At present we have very few trees on school grounds. Transforming the back-fence line of the school field by planting a number of trees with a nature walk in between will help develop our outdoor classroom and allow students to reconnect with nature. “The students are also looking forward to bird feeders, weta motels, a seated story-telling area, and a butterfly enclosure,” Andrea says. Principal of Te Uku School in Waikato, Pip Mears, says they have ambitious plans to transform the messy neglected area of their school grounds. The TREEmendous team along with students, families, school staff, local Mazda dealership staff, Mazda Foundation Trustees and Project Crimson staff, will work on these outdoor areas, creating inspiring learning spaces for the students to become immersed in nature. Joris de Bres, Project Crimson Trust Chairman, said it’s inspiring to see schools around the country embracing the importance of conservation and outdoor education. 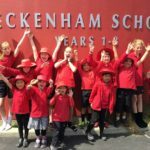 All Primary or Intermediate School in New Zealand can apply to become a TREEmendous School. Finalists will receive $500 towards their project and winning schools will receive a $10,000 TREEmendous event. Entries will open again in the first term of 2019.